The wildlife value of hedges is much greater than many people may think. Wildlife-friendly hedges can be considered a cornerstone of the countryside, especially when it comes to sustaining local ecosystems. While mankind has had a hand in growing and maintaining certain hedge plants that would have gone extinct otherwise, we have also tidied up nature too excessively in a way, leaving little to eat and few places to seek shelter for birds and small mammals. Of course, some places are better off than others, but there certainly is room for improvement everywhere. A bird friendly hedge would therefore make an excellent addition to any (countryside) garden. In fact, choosing a bird friendly hedge does not mean you have to sacrifice any of the ornamental or privacy value that hedges are often planted for. 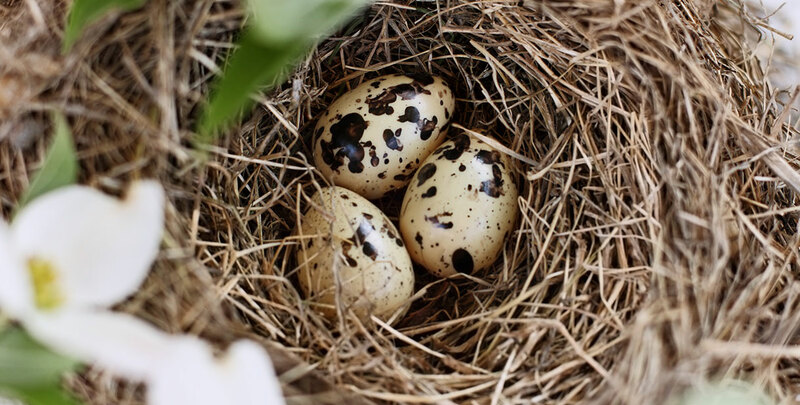 Many security hedges also make excellent bird friendly hedges, as birds often like to build their nests among the thorny branches of hedge plants used for intruder hedges in order to protect their eggs from being attacked by predators. However, a bird friendly hedge does not necessarily have to possess thorns; some bird friendly hedging varieties “only” have dense branches, so larger animals cannot make their way through. Most hedging plants that are attractive to birds also add seasonal interest to a garden and will therefore enhance the ornamental value of your hedge, as they produce berries that are an important food source for birds. Often, these fruits are preceded by flowers, which will attract pollinating insects and add a little colour to your garden. If you are looking to plant a bird friendly hedge, it is best to plant a mixture of plants, supporting as many species of birds as possible. A good mixed bird friendly hedge provides food, nesting opportunities, loose twigs for nesting and, of course, a place for birds to seek shelter. Thick, wide hedges are ideal. Not only do these create excellent hiding places, they also produce a large amount of dead wood and leaves, which is very useful for attracting insects. 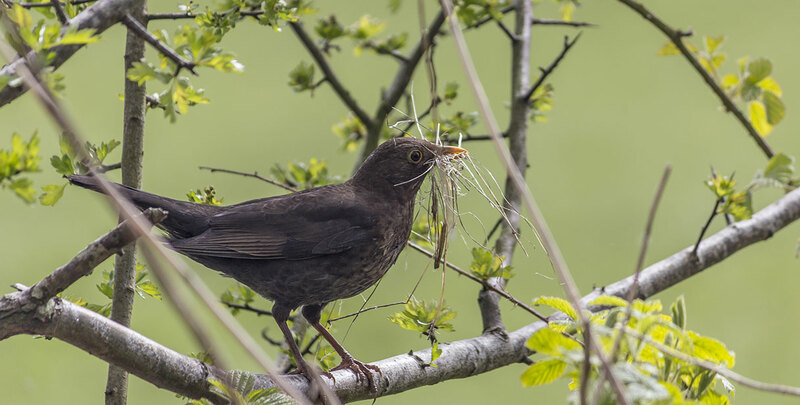 This certainly will make your hedge more attractive to birds, as birds do not only like to feed on the berries grown on your bird friendly hedge; insects are also an important food source for birds. In fact, maybe the term “bird friendly hedge” is a little too limiting, as bird friendly hedging plants will support all kinds of wildlife and are able to create entire ecosystems: insects, frogs, toads, hedgehogs and birds all will profit from the benefits that the hedge you have planted in your garden has to offer. 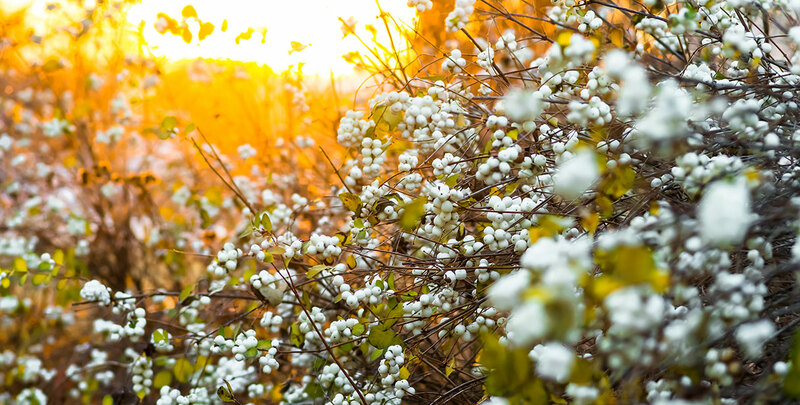 There are several different mixes that can be of great value to birds, but a highly beneficial combination we strongly recommend would be hawthorn, snowberry, juneberry and dogwood. If you plant these species, all of which have comparable soil type and pruning requirements, in equal proportions, your garden will be home to an excellent bird friendly hedge and, as a result, to many birds visiting the area. As most of the varieties used to grow a bird friendly hedge are flowering, deciduous hedging plants, maintaining a single species or mixed bird friendly hedge will not be all that difficult. Trimming your hedge once a year should usually be enough, though if providing food and shelter to birds is one of the reasons you want to grow a hedge in your garden, it is essential that you pick one or more varieties with the appropriate flowering seasons. There are hedging plants that produce berries in the winter, for instance, and while these are great for adding interest to your garden in the cold season, such a hedge will not be beneficial to all birds, as many species tend to fly south for the winter and will not start building their nests until springtime. Therefore, a bird friendly hedge should consist of species that are dormant in the winter. As a result, pruning your hedge is best done during this season, as cutting back its branches will not have any negative consequences for the shelter or nutrition opportunities during the colder months. As many types of plants used for bird friendly hedging are deciduous hedging plants, they generally do not need to be pruned too rigorously. 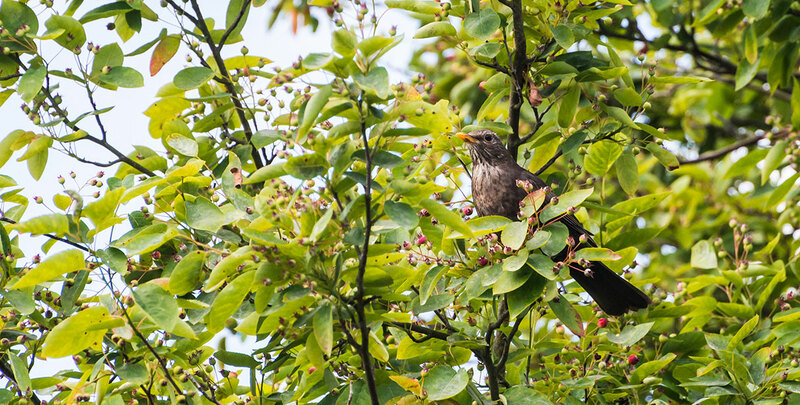 Some species do not even need to be pruned at all, though we would certainly recommend removing any dead or diseased branches in order to improve the healthy look of your bird friendly hedge. Such light trimming will generally not impact the informal, natural growth habit of these hedge plants too much. When springtime comes round, birds will certainly like to visit your hedge again. If you would like to do your part to restore some of the wildlife value that was sacrificed when mankind tidied up the countryside somewhat excessively, planting a bird friendly mixed hedge in your garden is certainly an option worth considering. Not only will such a hedge be appreciated by all birds in your area, it will also make your garden look a little livelier. Birds and pollinating insects will be glad to visit your garden and the flowers and berries that the hedge produces will not only be a valuable food source to these animals, they will also simply make your garden look a little more colourful during flowering season. A bird friendly hedge will therefore always be as beneficial to wildlife as it will be to you.